Ahhhh... "those were the good old days," my Mom and Dad used to say. I can well remember the story of an old Sears refrigerator that they carted all over Wyoming to Laredo Texas when my Dad was in the Air Force back in the 50's. Then they packed it to Richmond, Kentucky and used it for years. Later, it was installed in a apartment and it might still be there! It's over 50 years old! They don't make them like they used to! 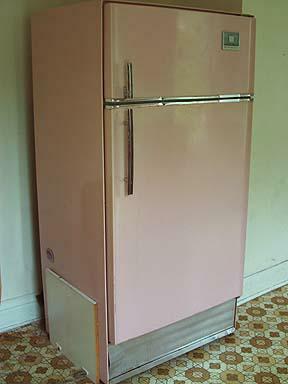 I was up for the task when a friend mentioned the ugly pink refrigerator in an apartment they bought at auction and were renovating. "Let me see it... I need a picture of it's ugliness for my story!" I said. Off we went to check it out. Sure enough....it sho was ugly! Can you imagine a marketing sales meeting at Frigidare where they discussed the latest line of colors and someone suggested pink? Who would vote for that? The whole reason of my story was really to discuss why appliances are not made like they used to be? They are breaking down after a few years and the parts are sooo expensive! Why is that? It's almost cheaper to buy a new one. That's the whole idea! Nothing is made well anymore. If it were made sturdy like a tank there would be no need to buy a new one unless it were pink and you change the decor. Here's more of the discussion and why we are almost forced to buy new appliances. 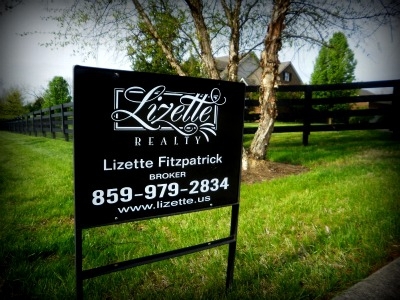 Ahhh… I LOVE Paris, Kentucky in the Springtime!